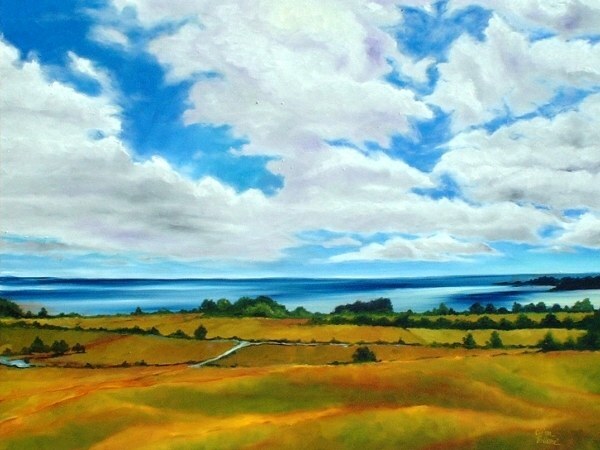 Supply for “Lago Llanquihue”, a painting in the south of Chile. Lago Llanquihue, this original oil painting by Clina Polloni was inspired by the beautiful lake Llanquihue, located in the South of Chile. Clear blue waters surrounded by rolling green pastures.